Visiting Corbett during Monsoon: Why is it a Perfect Travel Idea? With monsoon being at its peak, it is an obvious question to come in mind whether visiting Corbett during the showers is apt or not. There are misconceptions among the tourists that the park remains closed during monsoon. This misconception of park being close can confine a wildlife lover from getting drenched in natural exquisiteness at the times of shower when the woods become cleaner & vivacious and the sky turn blue to enhance the loveliness of the ambiance. Visitors are allowed to enter the Jhirna Zone because of heavy rainfall; all the other zones of the park are closed. A tourist can enjoy delightful and memorable time in Jhirna Zone and its buffer areas during monsoon season. 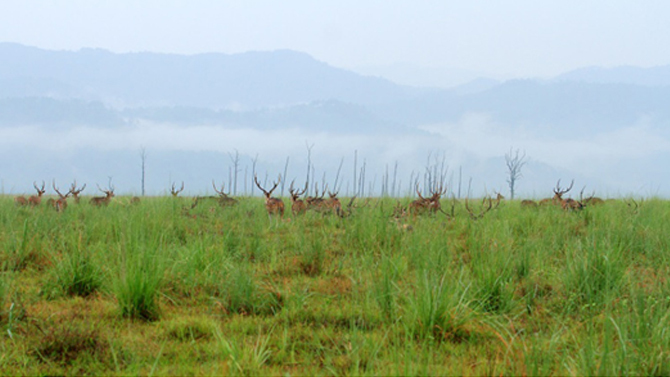 Why visiting Corbett during monsoon is great travel option? The trees of Corbett become clean during the monsoon season and shed their worn out leaves. The forests become verdant and there occurs abundance of food for the herbivorous animals in the park. The water in lakes and ponds of the park fill up to the brim and animals get lots of water to quench their thirst. Thus the animals become playful and vibrant and the chances of sighting the animals increase manifolds during monsoon. The lots of food create an unmatched time for animals to breed and increase their population. The sights of animal encounter during the rainy season lingers the mind and make it an unforgettable moment for nature and wildlife lovers. What activities you can carry out in Corbett during monsoon? It is a surprising fact that there are several activities that a tourist can carry out in Corbett during monsoon season. The activity of rafting can only be undertaken by the tourists during monsoon season. Kosi River remains shallow during rest of the year and doesn’t offer ideal opportunity for rafting. Both elephant and jeep safari are available for the tourists during the months of shower. Jeep Safari during monsoon takes the traveler to Jhirna Zone and buffer area of the park i.e. Sitabani Zone. 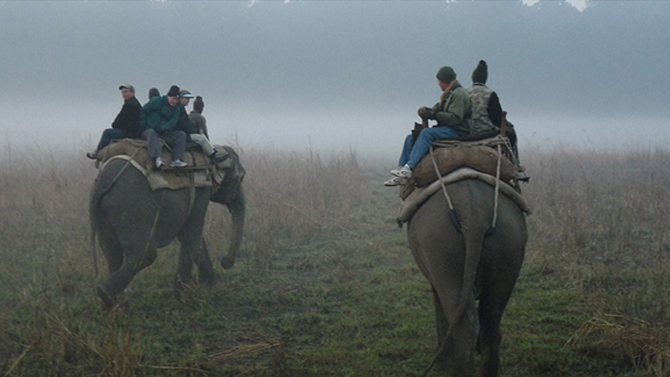 Other than Jhirna Zone, Elephant Safari in Corbett is available in Sitabani Buffer Zone and Kumaria Buffer Zone. The continuous influx of the tourists in Corbett National Park during the peak season creates a notable dip in the poaching activities. Poachers become aware that they can come in the eyes of tourists and thus during peak seasons, poachers stay away from killing the wild animals in Corbett. Closing the gates of Corbett during monsoon provides a golden opportunity to the poachers to get inside the park and kill the animals without getting noticed. This makes the park authority open at least one zone of the park all through the year. Sighting animals is comparatively easy during the rainy season! As the rains is at its paramount extent, several areas of the park remains submerged in the water and animal come out to regions of higher altitude, mainly to the areas that are dominated by teak plantations. Hordes of insects that attack the animals during monsoon are also the major reasons of animals coming out in open areas. Spotting deer, antelopes and boars becomes very easy during monsoon as they prepare for arrival of their young ones during this season. Avifauna can also be witnessed like never else during monsoon as it is the breeding season for them. The profusion of insects and ground vegetation create perfect food opportunity for these avifauna species to gain the required energy. Some of the well-known avifauna species found in the park include barbets, quails, patridges, owls, pheasants, parakeets and raptors. Therefore, do not confine yourself during the showers. Plan a trip to Corbett National Park and enjoy this pleasant season in the midst of serenity, nature’s exquisiteness and peerless wilderness.